Gas Station Insurance Lake Charles – Call 337-824-4455 to Lower Your Rates! Call Jeff Davis Insurance today toll-free at 337-824-4455 to find out how we may be able to lower your rates on Gas Station Insurance in Lake Charles and the surrounding areas! Our agency is open for business every Mon through Fri from 8 AM till 4:30 PM, with a break for lunch from 12 PM to 1 PM. We have partnered with an insurance provider who is offering exceptionally low rates on policies for Louisiana Gas Station Insurance, Louisiana Corner Store Insurance, and Louisiana Convenience Store Insurance. Act now and you may be able to take advantage of these great low rates, if you qualify. To find out whether your business will qualify, call us today or fill out our online quote form to request a free quote on Gas Station Insurance in Louisiana. Last time, Rob, the owner of Stop n’ Rob’s Corner Store, called up his agent, Jenny, to file an insurance claim. 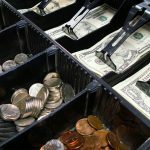 Because Rob has a Crime Insurance Policy that covered him for losses sustained as a result of robbers stealing from his register at gunpoint, he expects to be similarly recompensed for his employee Chad’s theft. 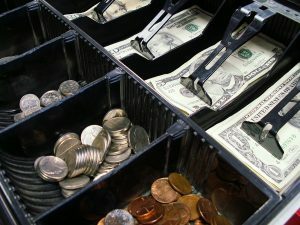 Remember, Chad stole upwards of $20,000 from Rob’s register over the course of several years while working at the cash register on weekdays. So, the question is: will Rob’ Crime Insurance Policy cover his employee Chad’s theft? When Rob’s agent gets back to him, she doesn’t come bearing good news. She informs him that, unfortunately, his Crime Insurance Policy does not cover Chad’s theft. Understandably, Rob is a little upset by this. If the robbers’ theft was covered, why isn’t Chad’s? After all, they’re pretty much the same thing, right? We will answer that question in our next article. Lake Charles Gas Station Insurance – Get The Best Coverage in Town! 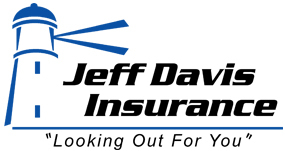 For the best Lake Charles Gas Station Insurance coverage in town there is no better agency to call than Jeff Davis Insurance. As an independent insurance agency operating in the state of Louisiana, Jeff Davis Insurance is able to browse the insurance marketplace on our clients’ behalf. Because we are not beholden to any one insurance provider the way a captive agency is, we have the luxury of being able to offer whichever policy provides the best combination of pricing and coverage for your business’ unique needs. For a free estimate on Lake Charles La Gas Station Insurance, contact us today at 337-824-4455 and speak with an agent over the phone. You can also request a free estimate by filling out our online form, which can be accessed by clicking on your location from the list below.